Our My Top 5 series showcases Houstonians who are creating the city’s culture and community and asks them to share their own local favorites. This week we’re delighted to feature Stephanie Wittels Wachs, actor, director, public speaker, published author, and Executive Director/Co-founder of Rec Room Arts, a non-profit arts organization in Downtown. Catch their latest show, Exit Strategy, which tells the story of a struggling school in need of saving with performances through Saturday, October 13, 2018. Avalon Diner – Most Sunday mornings, my family and I can be found eating breakfast at Avalon, our favorite little Houston diner. My husband and I started the tradition before we were even married, and now we’ve added two kids to the Avalon Sunday experience. With decor that includes a soda counter and an old-fashioned phone booth tucked away in the back, this place feels like it’s from another era. And it is. Avalon has been around since 1938. While the food is beyond delicious, the friendly, familial atmosphere keeps us coming back for more. And we’re not the only ones–this place is always packed. The servers have been there for decades and always greet us with a smile, a hug, and/or a handshake followed by our standard drink orders: a cup of coffee for me, a Dr. Pepper for my husband, and a giant milk for my daughter. So yummy. Check it out. Showing love to local businesses – Houston is like the Wild West for creatives, artists and entrepreneurs. Dream it, do it, and they will come. I am lucky to call many of these talented visionaries my friends and always love to visit their establishments, arts events, and labors of love. 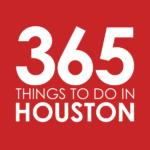 Favorite pal-owned and operated Houston gems include 8th Wonder Brewery, Eatsie Boys, Axelrad, Melange Creperie, Houston Watch Co, Catastrophic Theatre, and El Bambi. Via Colori – We have two children with varying degrees of congenital hearing loss who have received services at The Center for Hearing and Speech since they were newborns. This incredible non-profit organization has been life-changing for our family, they’re doing critical work for deaf and hard of hearing children throughout the state of Texas. One of our favorite annual events is the Via Colori street painting festival in Downtown that happens every November, featuring over 200 artists. In addition to it being a super fun event, all proceeds benefit The Center for Hearing and Speech. Bring the whole family to see lots of amazing street art, hear good music, eat yummy food, and participate in lots of fun activities. It’s a wonderful event for a really good cause. Hermann Park – Our family absolutely loves Hermann Park. There’s so much to do and see there that it’s easy to spend an entire day exploring its riches. Both the McGovern Centennial Gardens and the Japanese Zen Garden are stunning and so peaceful, especially during that one month out of the year when Houston weather beats anywhere else on the planet. With kids, we enjoy riding the paddle boats and the train around the perimeter of the park. My daughter loves to feed the ducks and see the sights at the Houston Zoo. Cross the street and we’re at the Houston Museum of Natural Science and the Cockrell Butterfly Center. Highly recommend. Ocean Palace Dim Sum – My family has been heading outside the loop to Ocean Palace Dim Sum for years. It’s one of our very favorite spots in Houston. I’ve never waited less than 30 minutes to be seated, but it’s so worth it. The food is delicious and authentic, and I love the element of surprise whenever a new cart rolls by your table. I highly recommend elastic waistbands or maternity pants. Just writing about it is making my mouth water for steamed shrimp dumplings and lotus leaf wraps. Mmmmm….I know what I’m doing this weekend. Stephanie Wittels Wachs is an actor, director, public speaker, and published author. She is Executive Director and Co-founder of Rec Room Arts, a non-profit arts organization in Downtown committed to developing innovative live performance of every discipline. Previously, she was head of the acting program at Houston’s esteemed High School for the Performing and Visual Arts. Stephanie is the author of Everything is Horrible and Wonderful: A Tragicomic Memoir of Genius, Heroin, Love and Loss, a memoir that has been called A Year of Magical Thinking for a new generation of readers. Stephanie is the co-host of the podcast, Hands Off Parents, a comedic weekly podcast on parenting and life. Wachs has appeared on Late Night with Seth Meyers, NPR Weekend Edition, Houston Matters, and a variety of podcasts including Terrible, Thanks for Asking, Comedy Bang Bang, Who Charted?, Alison Rosen Is Your New Best Friend, Make Light, and The Light Hustler Podcast with Anna David. She has been featured in People Magazine, Entertainment Weekly, Bustle, The Hollywood Reporter, Arts & Culture Magazine, and as one of Houstonia Magazine’s “10 Houston Women Making it Happen.” Her writing can be found on Vox, Longform, Huffington Post, Fatherly, Mamamia, Babble, and Medium. She lives in Houston with her husband, Mike, and their two children, Iris and Harrison.